This was our 6th visit to Desert Springs, we really enjoy coming to visit and for the last 3 years have persuaded some friends to come with us and they also now love the place. Everything we need is available; we have got to know which apartments suit our needs. From the moment we decide to book usually through Jennie in the UK office who sorts out our needs, to the moment we arrive, we feel at home, the golf reception, caddy master and greenkeeping staff are excellent, as are the restaurant and bar staff and we love dining in the restaurant usually a couple of times during our stay and the menu of the day is excellent value and offers a good variety. The accommodation is always in excellent order and we usually like to have one with air con and UK TV channels to keep up with news etc. We love the golf course and even after all this time still enjoy the challenge of it. Just to note we have in the past 2 years moved up to the Murcia areas for a couple of days before flying home and have stayed in 2 different complexes and played 5-6 other courses in that area, but we are thinking of not doing this again as we do not get the same quality of customer service, standard of accommodation and quality of golf course (especially the greens) and have endured very slow rounds often over 5 hours this year, which is not much fun. Thank you for your email, and yes we did very much enjoy our stay at Desert Springs. This was our third stay at Desert Springs, but our first booking directly with you. I would personally like to thank you and Carmen for arranging things for this visit in September at relatively short notice. The arrangements from beginning to end were excellent, with check-in and-out so easy. 11 La Rosa was perfect, and what a superb outlook and location. Although we don’t play golf, perhaps one day, we love the peace and quiet of Desert Springs, which gave us once again such a thoroughly relaxing holiday. We will be back for sure, the only question is how soon? Many thanks for the very pleasant stay we had. All our guests enjoyed the few days we had. The accommodation was first class. The golf course, while tough, was great and we all enjoyed it. All the staff were very helpful and always had a smile for us. We shall be looking to return in the not too distant future. I would also like to add my thanks for the quick response regarding the lost golf GPS which was found and is being sent on to me. We had a fantastic time at Desert Springs, please thank all the staff involved for making our stay most enjoyable. Can I also compliment the chefs you have on resort, the quality of the food was top class and all 7 of our guests were more than complimentary. I will be returning next year so look forward to seeing all the staff again then. Subject: Jayne Sproson highly recommends an Indiana Head Message at The Day Spa! I arrived at Desert Springs with back neck and shoulder problems. Standard stuff for me. I was recommended by an owner to try Karen's massage. It was an excellent recommendation. Not only did Karen sort out my problem, she did so without me having to go through the agony that I have come to expect to be associated with an effective massage. Not only is Karen an expert in her profession, she is a joy to be with. I think Karen does World Peace – when Mum is happy that means Dad is happy and kids are happy. Equals World Peace! I highly recommend an Indian Head Massage with World Peace thrown in for free! It's Sarah here at Wonderland Memorabilia. I wanted to say a huge thank you for a fabulous time that myself and friends had Desert Springs. I have certainly been raving about it since my return and will definitely be arranging a return trip in the future! I look forward to hearing from you and thanks again. On behalf of all just wanted to thank you for such a kind treatment we have received from you and all the team. We felt very comfortable in the apartment, we enjoyed your facilities so we will be back! We received a warm welcome and your service was excellent! Thank you for your mail and the offer for our return. As a family we thoroughly enjoyed our time at Desert Springs and will no doubt be back again. It really is a special place. Thank you again and we look forward to seeing you again. 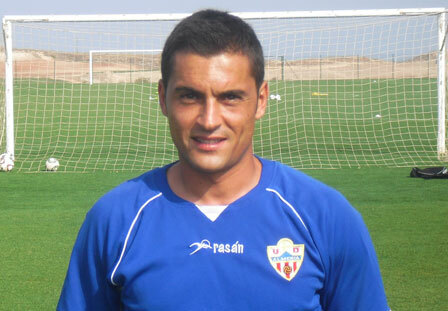 I met with the UD Almería 'B' Team Manager, Francisco Rodríguez, for an informal meeting to receive his views and opinion on how he felt the team´s first visit to the Desert Springs Football Academy had gone to get as much feedback as possible. Unión Deportiva Almería 'B' Team (Almeria Football Club 'B') selected the Football Academy at the Desert Springs Resort to be host to their official Pre-Season Football Training Camp between Wednesday 1st – Friday 3rd August, 2012. A squad of 23 players and 8 officials from UD Almería 'B' – which currently competes in 2ª División B (Spanish Division Three) also benefited from access to and use of the 18-hole Indiana golf course and golf academy. They enjoyed the opportunity to swim, play tennis and use the gymnasium, trim trail, jogging tracks, padel tennis and beach volley ball courts. They also had access to the resort’s Private Reserve which incorporates a spa, private sauna and jacuzzi suite, personal fitness workout room, games room with bar, and a home cinema, which was used on several occasions as a conference and meeting room to further visualise videos as part of the training camp. Accommodation for the players and officials was in some of the privately-owned apartments normally reserved for holidays and short breaks at Desert Springs. The resort’s executive chef was on hand to cater for the special dietary requirements of individual players dining in the resort’s two restaurants – the award-winning El Torrente and the Croc Restaurant, part of the family-friendly Crocodile Club. The Apartments where we stayed were absolutely fine; the community pools were used very often by the players after training and the quiet atmosphere at Las Sierras was quite convenient for resting purposes. We didn't miss a Hotel operation at all. The F&B meals and service were absolutely spotless; I couldn't find any weaknesses or make any suggestions. The Menus were superb, as well as the quality of the food which was always served on time. All the staff were very accessible and polite with the players, rapidly attending every request. Everyone at the Resort has shown interest to assist our team, and I´m very grateful for the assistancereceived. Even at the Football Pitch we have had a member of the Staff at every session, to attend any irrigation or maintenance requests! The Pitch was kept in immaculate condition for us; I have already provided a very positive feedback to the UD Almeria President, as the Pitch is as good as it can get. This is obviously the most important facility for us and I would grade it as a perfect 10! During our short stay we haven't made much use of those facilities but they are sufficient and well maintained. Each Manager has his ownviews, but I would definitely like to come back to Desert Springs for Pre-season Training. The players are very comfortable here and it has been easy for them to concentrate and work hard. No doubt I will be requesting the use of thisResort in 2013. I'm certainly happy with our Pre-Season Training Camp at Desert Springs. Before being a manager, I have played football professionally for 15 years, and out of all the Resorts where I have travelled for Pre-Season Training Camps, Desert Springs is second to none. I´m sure that Desert Springs has all the ingredients to attract many other teams and I´m surprised not to see them already! UD Almeria could help spreading the word within the spanish football network as it is quite recommendable. Just a quick note to say how much we enjoyed our week’s holiday in Desert Springs; I wish 11 La Rosa had been available for another week as 7 days is not enough. The accommodation was lovely; the villa had everything that you need. I especially loved the outside area with the easy chairs for the evening and the hammock for the early mornings (too hot once the sun was on you). The satellite TV was great for the BBC Olympic coverage too! Please pass my thanks on to the owners; the extra touches were really appreciated. Andrew, Natalie, James and Rose Perry. We would like to take this opportunity to thank yourself, Paul and all the staff at Desert Springs for making the buying process of our new cottage at Desert Gold smooth and professional from the signing of the reservation form to the handover and completion of the property. The house was perfect for our arrival just as you had said it would be. Paul recommended using Paloma as our lawyer and we are grateful of this, as her professionalism and character were second to none. We would like to invite yourself and Paul to join us and our family next week for a drink to celebrate our new home in Spain. Subject: Reporting on the visit of UD AlmerÃ­a for their official 2012 Pre-Season Football Training Camp. 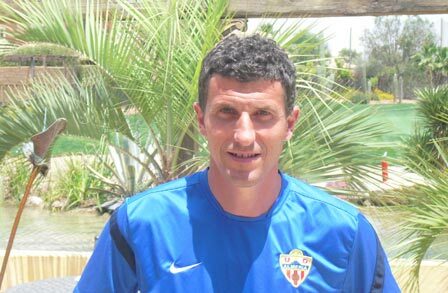 Returning to Desert Springs for the second consecutive year, and having exceeded the team expectations last summer, I was interested in hearing the comments from Javi Gracia, the new coach of UD Almería, and what the players had to say about their Pre-Season Camp at the Desert Springs Football Academy. Unión Deportiva Almería (Almeria Football Club) selected the Football Academy at the Desert Springs Resort to be host to their official Pre-Season Football Training Camp between Monday 23rd – Tuesday 31st July, 2012. A squad of 25 players and 13 officials from UD Almería – which currently competes in La Liga Adelante (Spanish Division Two) also benefited from access to and use of the 18-hole Indiana golf course and golf academy. They enjoyed the opportunity to swim, play tennis and use the gymnasium, trim trail, jogging tracks, padel tennis and beach volley ball courts. They also had access to the resort’s Private Reserve which incorporates a spa, private sauna and jacuzzi suite, personal fitness workout room, games room with bar, and a home cinema, which was used on several occasions as a conference and meeting room to further visualize videos as part of the training camp. Accommodation for the players and officials was in some of the privately-owned apartments normally reserved for holidays and short breaks at Desert Springs. The resort’s executive chef was on hand to cater for the special dietary requirements of individual players dining in the resort’s two restaurants – the award-winning El Torrente and the Croc Restaurant, part of the family-friendly Crocodile Club. The community of Las Sierras was very quiet and convenient for us, providing a lot of privacy and no disruptions. Everything was perfect; all of the dietary requirements were followed strictly and the food was ready on time every day. Players hate to wait for their food, especially after training, and this never happened during our stay. The quality was phenomenal and all staff members were on hand. Fantastic, we have felt very well attended. When we made any request, like the use of a Conference Room, it was organised within minutes and we were able to use it on several occasions. Nobody in my team has commented anything negative to me, so it must be a good sign! We have worked carefully on the Pitch trying to avoid any damage from traffic, and it has actually worked out well. The playing surface and thickness of the grass was just perfect, and also the daily assistance of the Maintenance Crew has made a difference. I have visited the gym, and although it is not huge, it has all of the necessary machines for workouts. I have been very comfortable at Desert Springs and would certainly consider it for a future Pre-Season Training Camp. Other Resorts may have more pitches, but at Desert Springs we are not forced to train at certain times and we feel very welcome. I knew that UD Almería had already used Desert Springs last year, and if we have repeated as we have, then something must be working well! The players seem to be very comfortable and they take for granted that we will be back! I have personally felt very well attended and everything has assisted to provide a good Pre-Season training camp. We had a lovely holiday at Desert Springs and would love to return in the future. We found the accommodation to be of the highest standard and Desert Springs is certainly one of the nicest resorts we have stayed in. All the staff were excellent and helpful, especially the gentleman who met us in the middle of the night when we arrived. If I had any suggestions, it would be maybe some activities for older children, 12 –16 in the mid season, I understand it is not possible to provide a full programme early in the summer, due to lack of demand, but it would be great if there was something for them to learn or do. Many thanks for your contact. As we have been coming to Desert Springs for over 5 years, I would like to thank all the staff involved with the course and management, as we have been many different times of the year and have found the course to be in immaculate condition. Also the staff are very helpful, no problems, that is the main reason we keep coming back to Desert Springs. Once again many thanks to all involved with Desert Springs. It's a pleasure to drive over 200 km's to play and be welcomed at your resort. First of all can I thank you for sorting us out at Desert Springs. We got back last night after a terrific few days and loved every minute. The house was perfect, with so many balconies and outdoor areas that we could have all had one each. The staff were so friendly and the restaurant proved to be great value and good food. Our golf day went well, (meaning I only lost one ball)… It was tough but beautifully designed and maintained, a great experience which I think they call 'challenging' nowadays. Just a short note to say we really enjoyed our time over all at Desert Springs, the golf course was in great condition and the staff were superb in the clubhouse, at reception and at the caddymaster. The staff overall where so helpful and attentive throughout the resort. We would return in the future and look forward to it. Now I'm back in Sweden again after a wonderful weekend at Desert Springs. Golf, food and living was great for us. I confirm we had an excellent time and I wish to thank all your staff at the resort for the attentive and pleasant service, which I have to say provided one of my more pleasurable experiences in Spain. I wish your resort all the best in the future and have no hesitation in recommending to others. 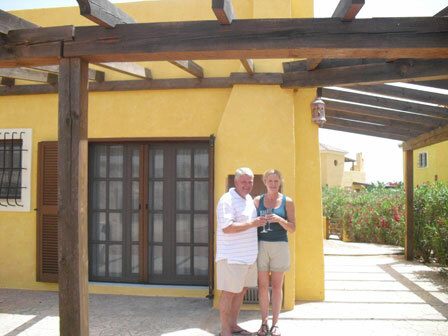 Subject: Yvonne Alford reporting on her groups golfing break at Desert Springs with accommodation at the Villaricos Fishing Village between 21st â€“ 28th May, 2012. Just a quick email to say we had a great time in Villaricos â€“ the apartment was lovely and had everything you could possibly want and the village was also lovely. It was “more” Spanish than we had thought which was brilliant, as we like to experience the culture when we visit abroad. It was also quiet and suited us. The golf club were very good as we had to cancel the second game of golf and they rearranged for another day for us. Thanks for all your help and we hope to go back at some point. Just wanted to say I had a great time at your resort last week with Glen Nash and wish I could have stayed longer but was short and sweet!! I have to say I thought the golf course was in superb condition and the greens were amazing. The greens were like carpet and the ball rolled true every time. Please pass my comments onto the owner and green keeping staff; I had a great golfing experience!! Upon my return at work I have been singing praises to my colleagues about the resort and hope to venture to you in the near future. I may even be looking at week commencing 18th June 2012 with my dad and his 2 friends. Do you know how busy the resort is then for say a week’s stay?